Passing the torch of The Soul of Philanthropy with another exhibition opening! A comprehensive, multimedia exhibition debuted in Columbia, South Carolina on February 10 at the newly renovated Richland Library. We passed the “torch” — an old-style farmer’s lantern, reminiscent of a light perhaps carried by liberating force Harriet Tubman — from Atlanta’s philanthropic leadership to that of Columbia. After a ribbon-cutting with the city’s mayor, a public program paid tribute to our ancestors and to Columbia’s present-day changemakers. Click a photo from collage below to see slideshow. Black Philanthropy Month is a multimedia campaign to inform, involve, inspire and invest in Black philanthropic leadership. This year’s focal concept is Giving Voice to Fuel Change. Entering its seventh year of observance, Black Philanthropy Month (BPM 2017) is an unprecedented campaign during August to strengthen African-descent giving in all its forms. Attacks on our nation’s progress in areas of voting rights, LGBTQ equality, women’s health, criminal justice, educational opportunity, economic power and more are emblematic of what’s occurring around the globe. These assaults demand we give voice to injustice and, collectively, dedicate resources to turn the tide and assert our rights, interests and humanity. As a campaign, BPM 2017 comprises activities—online and in communities—to inspire people to advocate and to give in strategic ways that transform policies, systems and lives for the better. The public is encouraged to participate by hosting self-organized events, charitable fundraising activities and community conversations. To spark ideas on how you can participate, visit BlackPhilanthropyMonth.com. BPM 2017 happenings that promote philanthropic investments and conscious giving in our communities are planned in cities, coast to coast. Included among these are a special exhibition of The Soul of Philanthropy with the Smithsonian National Museum of African American History & Culture at the 2017 Association of African American Museums conference in Washington, DC, plus a pop-up exhibition at the University of Kentucky. Slated to spotlight philanthropy across the African Diaspora are gatherings in such communities as New York City, the Bay Area, Chicago, Atlanta and Columbia, SC. These and other observances led by foundations, nonprofit agencies, cultural institutions, giving circles, media and individuals will be featured on BlackPhilanthropyMonth.com. Founded by Dr. Jackie Copeland-Carson of the Pan African Women’s Philanthropy Network and recognized by the United Nations and Congress in August 2011, Black Philanthropy Month was created as an annual, global celebration of African-descent giving in the United States and worldwide. Principal partners on the campaign are Jackie Copeland-Carson, Tracey Webb and Valaida Fullwood. For a full listing of sponsors, visit BlackPhilanthropyMonth.com. Charles Thomas and me signing books at a recent exhibition of The Soul of Philanthropy at Duke University, which is Charles’ alma mater. Six years ago, Charles and I began exploring the idea of an museum exhibition on philanthropy, based on the yet released stories and photography of Giving Back: A Tribute to Generations of African American Philanthropists. While it took four years more, before we—in collaboration with NGAAP-Charlotte and Johnson C. Smith University—realized that vision with The Soul of Philanthropy Reframed and Exhibited, we’ll claim releasing seeds of this idea into the ethosphere. Fast forward to a year ago, just after #GivingTuesday, I was reading this story in The Chronicle of Philanthropy about Bill Gates, Warren Buffett and David Rubenstein funding an endowed curatorship at the Smithsonian National Museum of American History (NMAH) to create a series of exhibitions on the history and future of American philanthropy. Since the article referenced only billionaire white men (and a few women in the context of being their wives), I wondered whether the NMAH exhibitions would be narrowly framed to present only conventional and predictable pictures of “American philanthropy”. 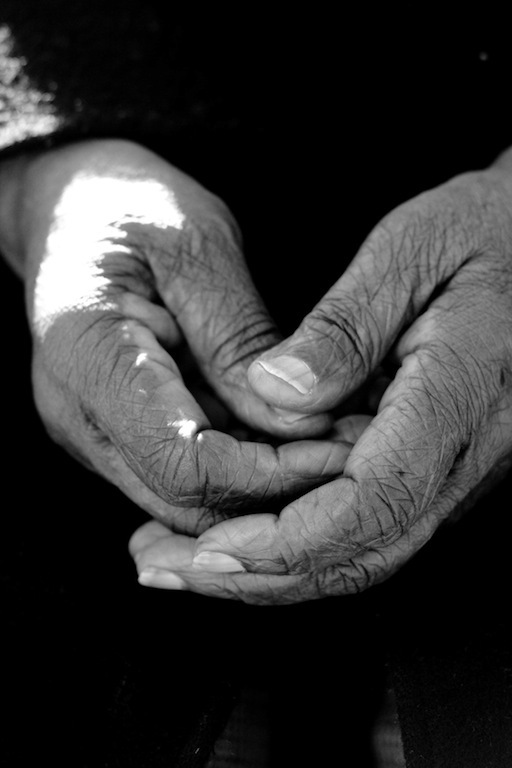 Would traditions of philanthropy in communities of color be told? Would the generosity and impact of people of modest means get included? Would stories of philanthropic women and giving circles be shared? Quick to climb on my bandwagon, I reached out to learn more about NMAH’s “The Philanthropy Initiative” and to ask questions to ensure a vivid and inclusive and soulful account of philanthropy in America was an aim. Thanks to a network of kind connectors—A’Lelia Bundles, Aviva Kempner and Fath Ruffins—I made some gains. So on this #GivingTuesday (and hopefully many more to come), I’m traveling to Washington, DC for “The Power of Giving: Philanthropy’s Impact on American Life”—an invitation-only symposium with philanthropists, environmentalists, thought leaders and social innovators to discuss the past, present, and future of American giving. Such programs are slated, annually, for decades to come and the focus this year is “Sustainability and The Environment”. Tuesday’s schedule launches with the opening of the Smithsonian’s first-ever, long-term exhibition GIVING IN AMERICA. We’re in the room, and there’s more to come. Below are more photos are from the exhibition of The Soul of Philanthropy Reframed (abridged edition) at Duke University’s Mary Lou Williams Center for Black Culture. Coincidently, the Duke University exhibition was made possible by support from financier David Rubenstein, who chairs Duke’s Board of Trustees and also is one of the funders of the NMAH exhibition. The nation’s ethnic landscape is changing, and by 2050, America will be majority non-white. These demographic shifts have implications for a wide variety of sectors, including philanthropy. In 2008, I commissioned longtime friend and poet Quentin “Q” Talley to create a group performance piece for a community philanthropy conference. Later, he refined it and then came and delivered it at one of my giving circle‘s planning retreats. It was 2009 or 2010 when I asked Q to edit the poem for inclusion in the book I was writing. Now Full Circle is featured using kinetic typography in Giving Back: The Soul of Philanthropy Reframed and Exhibited. Delighted to share it here again for National Poetry Month! To hear Q recite his poem, listen here. One of the most intriguing stories of transformational ‪philanthropy‬ from the 20th century centers on the South’s Rosenwald Schools. A new documentary tells the story of how Sears President Julius Rosenwald, influenced by the writings of Booker T. Washington, joined forces with African American communities during the Jim Crow era to build over 5,300 schools. Today in Charlotte, documentary filmmaker Aviva Kempner will attend film screenings on at Regal Ballantyne Village Stadium 5, with Q&A sessions at 1:10 PM and at 4:00 PM. 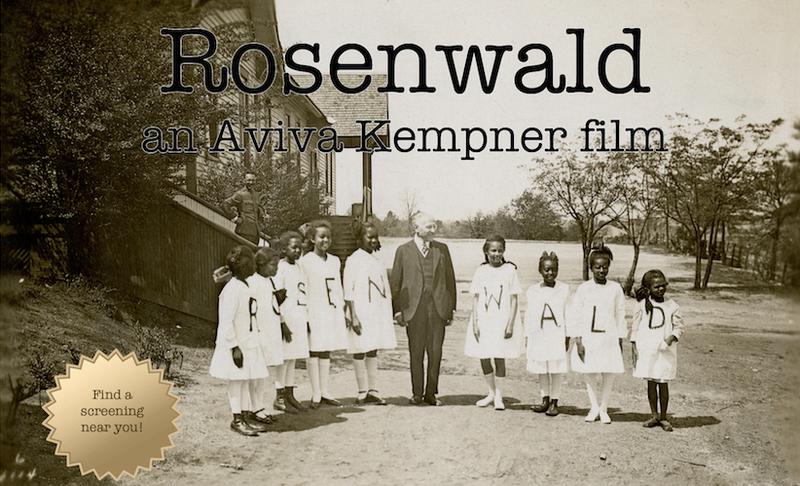 Rosenwald’s initiative to create schools throughout the American rural South, resulted in the education and progress of generations of Black Americans. His story can offer lessons for the field of philanthropy and philanthropists today. Being the philanthro-geek that I am, I cannot wait to see this film! Below are excerpts from “’The Soul of Philanthropy’ exhibit celebrates African-American giving” by Laura Bond for The Denver Foundation. The Denver Foundation and Blair-Caldwell African American Research Library are honored to co-host “The Soul of Philanthropy Reframed and Exhibited,” a photographic and narrative exploration of African American giving, which runs August 1-31 at the library, 2401 Welton Street, in Denver’s historic Five Points neighborhood. Denver is one of only ten cities to host “The Soul of Philanthropy Reframed and Exhibited,” which explores the triumphant movement of conscious giving for social change, shared through photos and words of African American philanthropists, with a special addition of Denver notables. Groundbreaking in focus and depth, the exhibition draws evocative images and incisive stories from the award-winning book Giving Back: A Tribute to Generations of African American Philanthropists, by Valaida Fullwood and photographer Charles W. Thomas Jr.
Exhibit sponsors are The Denver Foundation, Institute of Museum and Library Services, NGAAP Charlotte, Blair Caldwell Branch – Denver Public Library, Denver African American Philanthropists (DAAP), Denver (CO) Chapter of The Links, Inc., and Sisterhood of Philanthropists Impacting Needs (SPIN). Event host committee members are Eula and Janet Adams, Councilman Albus Brooks, Linda Campbell, Richela Das, Chrissy Deal, Myra Donovan, MaryAnn Franklin, Barbara Grogan, Eddie and Andria Koen, and Rich Lopez.